Transfusing patients with sickle cell disease (SCD) is a big deal, for many reasons. Eric Gehrie guides us through those challenges, especially alloimmunization (making antibodies against red cell antigens). History Lesson: Around 1910, Dr. James Herrick discovered that one of his students had strange-looking red blood cells. Some of those cells were shaped like a “sickle.” As the years passed, physicians saw more examples of what came to be known as “sickle cell disease,” with affected patients suffering hemolytic anemia, strokes, and attacks of severe pain. 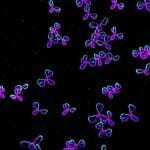 Eventually, researchers identified the problem: A mutation leading to a single amino acid substitution (valine for glutamic acid) in the beta-globin portion of hemoglobin. 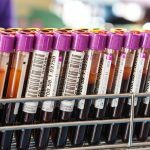 Today, that seemingly simple substitution has dire consequences for millions of patients around the world, most commonly in those of African ancestry. 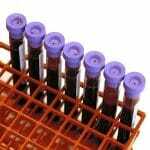 Where do RBCs fit in? Red blood cell transfusion is a mainstay of therapy in patients with SCD. 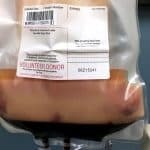 While lifesaving, especially in regard to stroke prevention and treatment, giving red cells to a patient with SCD is often not as simple as just pulling units off the shelf and transfusing! 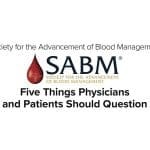 In this episode, Dr. Gehrie describes some of the things that blood bankers should be thinking when we transfuse RBCs to sickle cell patients. In particular, he helps us work through issues surrounding alloimmunization, which is a massive problem for those with SCD. Dr. Eric Gehrie is a physician from whom you will be hearing great things in the future! He is currently the Associate Director of Transfusion Medicine and Assistant Professor of Pathology at Johns Hopkins in Baltimore, MD. 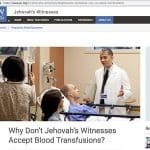 He did his transfusion medicine fellowship at Yale-New Haven Hospital and was previously the Assistant Director of the Blood Bank and of Apheresis at that hospital. Dr. Gehrie’s clinical and research interests are focused on the safety and efficacy of blood transfusion and therapeutic apheresis. 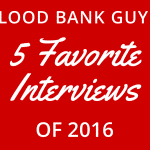 In particular, he is interested in developing algorithms to predict adverse events related to blood transfusion. He is a co-investigator of the National Heart Lung and Blood Institute (NHLBI) supported Recipient Epidemiology and Donor Evaluation Study-III (REDS-III), where he focuses on the impact of blood transfusion on recipient vital signs and pulmonary injury. 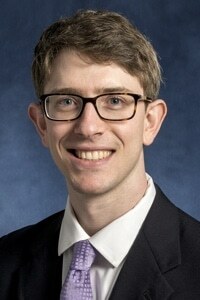 He also is a co-investigator of a post-marketing surveillance study evaluating the relationship between platelet transfusion and pulmonary injury in hematology/oncology patients. 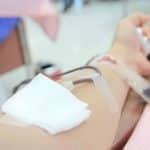 In addition to these efforts, Dr. Gehrie is committed to patient blood management, with a particular emphasis on the development and implementation of evidence-based guidelines for the initiation of blood component transfusion. Shortly after this podcast was recorded, Dr. Gehrie was named as one of the ASCP’s “40 under 40” honorees as recognition of his leadership and achievements. DISCLAIMER: The opinions expressed on this episode are those of my guest and I alone, and do not reflect those of the organizations with which either of us is affiliated. Neither Dr. Gehrie nor I have any relevant financial disclosures. Sickle Cell Alloimmunization Despite Matching: Chou ST et al. High prevalence of red blood cell alloimmunization in sickle cell disease despite transfusion from Rh-matched minority donors. 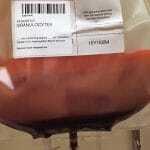 Blood 2013;122:1062-1071. This great podcast made my learning more interesting and easy to understand.